Earn $2.50 in Rewards credit (250 points) What's This? 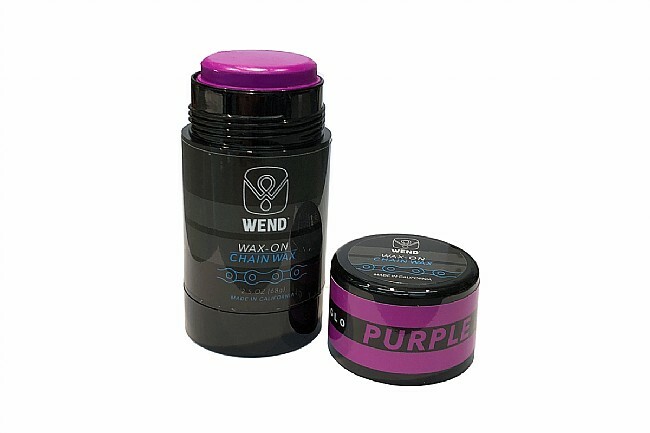 WEND Waxworks Wax-On Chain Wax - 2.5oz Twist-Up is a “rub‐on”, wax based, chain lubricant. 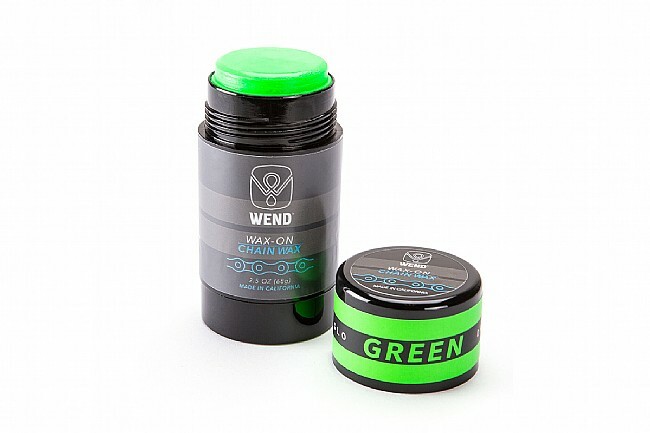 It keeps chains clean while reducing friction and noise. 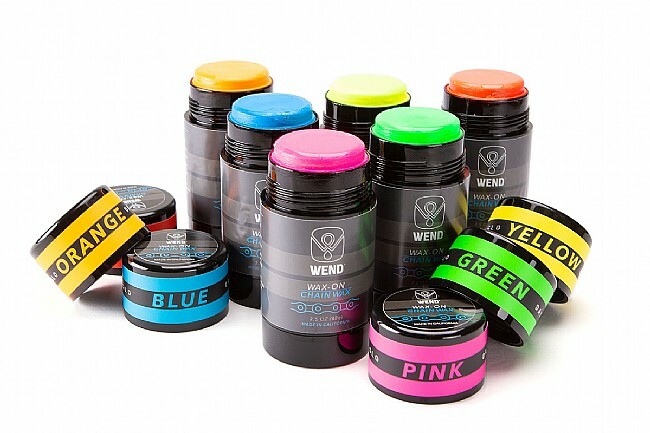 After two years of development, R&D at WEND came up with Wax‐On, a sophisticated paraffin based formula that includes proprietary friction reducers as well as proven lubricants such as Zinc and Teflon. 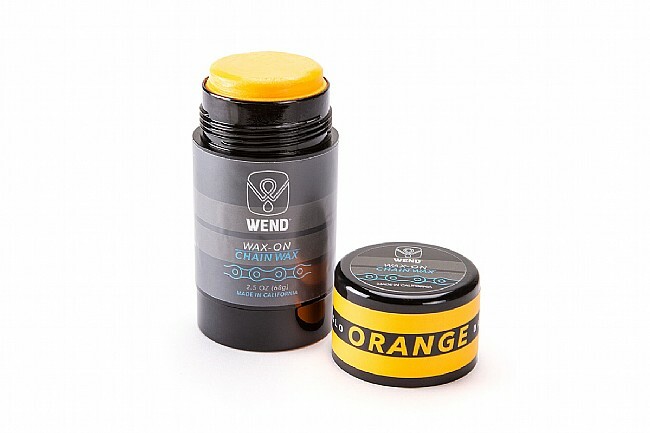 The application is a cinch -- simply rub the wax onto the chain rollers for a race-ready chain in a matter of seconds. The cleaner cleans the chain well. It got dirt and grime off what I thought was a fairly clean chain. 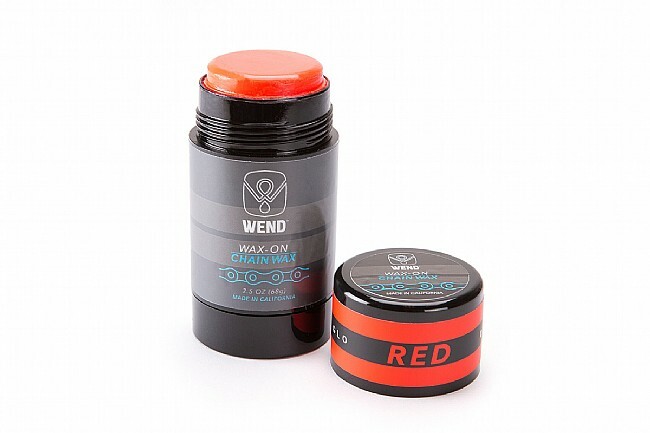 The wax is easy to use, but I really dont know what its purpose is. Is it there to just keep dirt from seeping into the inner workings of the chain, or is there for some other reasons. My initial feeling is that it increases drag significantly. And the chain is much noisier than it was before. I will continue to use this for the next several rides, but initial impression is mediocre.